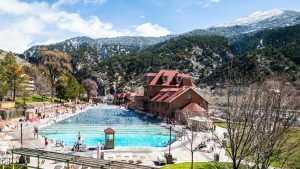 Glenwood Springs specializes in fun-filled, family activities that are full of soaring-high adventures, deep-dark cavern secrets, and Colorado’s dazzling Wild West history. For families coming for a weekend getaway or a coveted vacation, make the most of your time in Glenwood Springs by letting Gateway Reservations book one of their specialized packages just for you. Where is one of USA Today’s 12 Most Anticipated Theme Rides of 2017? Glenwood Caverns Adventure Park. It’s a crazy new drop ride called the Haunted Mine Drop that is the world’s first to go underground dropping you a wild 110 feet down inside Iron Mountain. We must say, this Park is probably for older kids and the kids among us adults. Want more? They have it all at Glenwood Caverns Adventure Park, Colorado’s largest show-cave with screaming adventure rides, a 4D theatre and a whole lot more. Perched on the edge of Glenwood Canyon, well above the Colorado River, is the country’s highest-elevation, full-sized roller coaster. Want even more adventure? The Giant Canyon Flyer swings riders more than 1,000 feet out over the Canyon and Colorado River. The ride is breathtaking… literally. Does a 600-foot zip line sound a little more sedate or would stellar panoramic views of the area as you glide 4,300 feet up Iron Mountain in fully-secured gondolas be your perfect ride? And there are plenty of rides for the littlest ones of all, including a family-friendly train-inspired roller coaster. As the holidays are approaching, there’s nothing like the Adventure Park with its spectacular display of more than half-million twinkling lights and giant Christmas tree. Combine that with a musical light show, nighttime thrill rides all lit up, and a stunning mountain backdrop, and you’ve got the most memorable light show you’ve ever been to. Best of all save money with the Park’s all day FunDay Pass. And don’t forget the Glenwood Caverns themselves. They showcase beautiful formations and the largest excavated areas in the state. Investigate the underground landscape countless years in the making. Study this living cavern that is home to thousands of variations of stalactites, stalagmites, flowstone and other features, and experience Colorado’s most highly-decorated cave room: King’s Row. 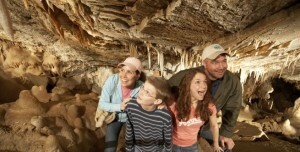 Glenwood Caverns Walking Tours can be arranged for your convenience. According to Tripadvisor.com, the top three family restaurants in Glenwood Springs are the Slope & Hatch, the Daily Bread Restaurant, and the Glenwood Canyon Brewing Company (which makes even the presentation fun by serving their kids’ meals on Frisbees). There’s also Lookout Grille, which is on the mountain and provides spectacular views of the surrounding mountains and valleys. Downtown 7th Street, also known as “Restaurant Row”, invites you to enjoy restaurants appealing to all taste buds from the simplest to the gourmet. If you’re looking for some cool ice cream, then head to the Chocolate Moose Ice Cream Parlor for a treat or two where kids love the saddle stools. Or learn some astonishing magic tricks at Glenwood Magic located inside Grand Avenue Sweets. Comedy – Glenwood Vaudeville Revue provides uproarious comedy entertainment fit for the entire family. Segway Tours – Motorized toys are terribly exciting for those who are not old enough to drive. Parents of young children often love them too because it evens the playing field! No more chasing them around on foot! If you are able to stand on your own, then you can do it! All you have to do is follow the leader. Mini Golf – I don’t believe I know a child who doesn’t enjoy mini golf! Okay, I may be overextending on that, but it’s not a stretch to say that many do! For those children, check out Johnson Park Miniature Golf. How many miniature golf parks are surrounded by such stunning landscapes? Historic Fun – Linwood Cemetery includes the graves of some pretty infamous wild-west characters like Doc Holliday and “Kid Curry” rumored to be a member of Butch Cassidy and Sundance Kid’s gang. So maybe this suggestion is more appealing to adults, but if you did any of the above activities with your children, you earned it! Plus, most kids enjoy hot springs and, if not, there are pools! 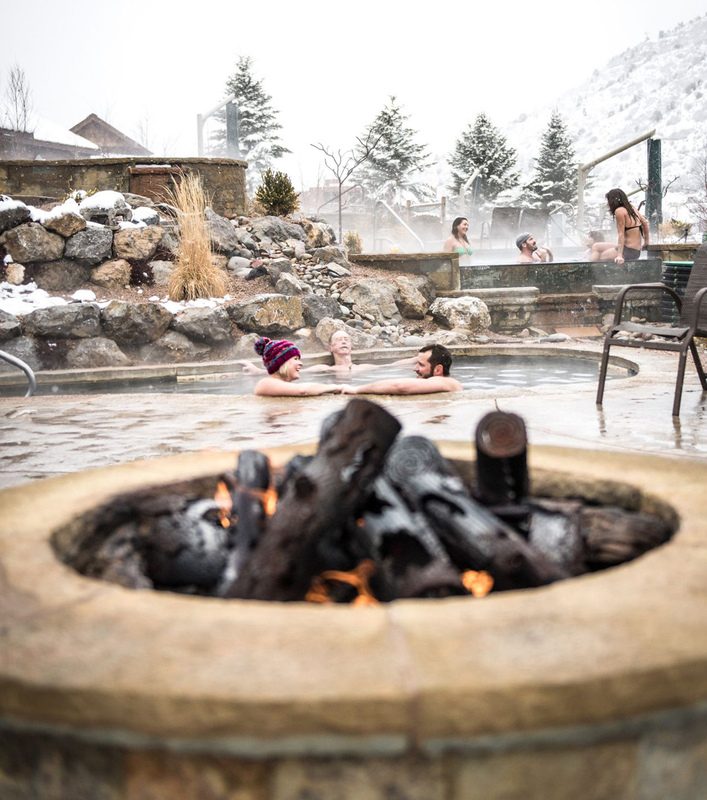 Gateway Reservations’ Swim and Stay Packages invite you to immerse yourself in one, or all, of Iron Mountain Hot Spring’s 16 mineral soaking pools and even their freshwater family pool. The pools are located along the majestic Colorado River and are within walking distance to many hotels available in the packages. Besides being a tremendously beautiful place, Glenwood Canyon hosts an array of rock and ice climbing adventures throughout the main canyon as well as its many side canyons. The crystal-clear water of Hanging Lake is nestled in Glenwood Canyon and surrounded by waterfalls. The hike can be a bit steep and a bit rugged, so consider your hiker’s experience level. For those of you with little hikers or babies strapped to you, Grizzly Creek is a good alternative to Hanging Lake because there is more parking available and dogs are allowed. It runs along the creek and is a little more moderate. And don’t forget it’s a short hike and an easy trail to Doc Holliday’s grave in Linwood cemetery and one that offers views of Glenwood Springs on the way. For most kids, just the word “biking” elicits pure joy. Glenwood biking is a big deal and offers the best trails for mountain biking, road biking, and dirt biking. It’s amazing the sheer number of offerings they have for your littlest bikers all the way to your biggest. It’s not hard to see that Glenwood Springs, Colorado has lots of amenities for the whole family. From luxurious day spas and eloquent dining to the state’s best theme parks and museums, there is really something for every member of the family!